The four victims, who were buried, Sunday, by their fellow displaced persons, were reportedly beheaded while hunting outside the camp on Saturday. 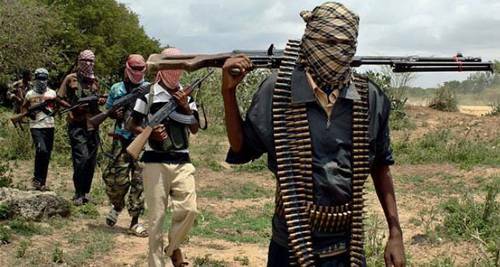 “Six of the IDP hunters managed to run back late afternoon of Saturday to inform us at the camp that they were attacked by Boko Haram fighters,” said an IDP from Bama who identified himself as Alai Goni. Sources said the heads of the four beheaded persons were later found early yesterday morning, after which they were prepared for burial at about 9 a.m. Unfortunately, nothing have been heard from the other two missing IDPs and we are not sure if they are still alive or dead.